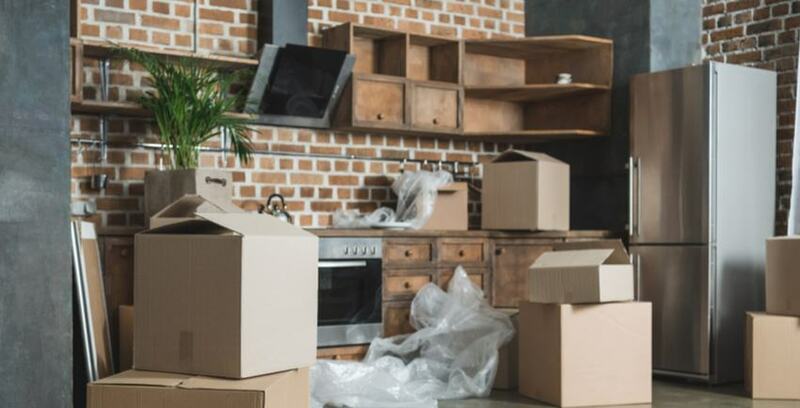 If you find yourself needing to store your appliances whether it is for a move you are anticipating, or you’re a renovation of your kitchen, or you are saving them for other reasons it is important to know the proper way to store them. This will ensure that when you decide to reuse them that they are in good condition. Appliances can take up a ton of room, so deciding on where the unused appliances will be stored is your first step. If you are moving to a new home that has brand new appliances, saving them for your college-aged children, or just waiting until you have that next garage sale you may consider renting a self-storage unit to reclaim the needed space in your garage. 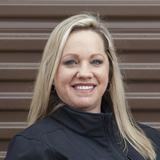 At LockTite Storage, we have you covered should you decide you will need a self-storage unit for the interim. Call us today and we will be glad to get a unit reserved or if you are ready we can also do the rental over the phone or online on our website at LockTiteStorage.com. Before you store any appliance, we recommend taking the following steps to ensure that your appliances will maintain their integrity and be ready for reinstallation at a later date. First things first! Just like any other project, preparation is key. Below are some helpful tips to increase the lifetime of your investment. Make sure that all appliances have been run through a final wash cycle. Some washing machines and dishwashers come with a “cleaning cycle” option. We highly encourage that you complete a full cleaning or wash cycle. For the optimal decontamination results; using chlorine bleach or white distilled vinegar will thoroughly clean the appliance. Make sure that all appliances have been properly drained of all water and liquid, this includes any water lines or hoses that are attached. Inspect the inside and outside of the appliance for residue or food particles and clean thoroughly both inside and out. Make sure that the appliance is completely dry. This will prevent mold, mildew, and bacteria from forming inside of the appliance while being stored. Vacuum the backs and bottoms of the appliance using the narrow wand of a vacuum cleaner. Remove any shelving or fragile parts and wrap them securely in protective packing materials to avoid breaking while moving. Take care to not stack glass shelves or lean against a wall or heavy items. Boxing these items up if possible will save you the worry in the long run. Clearly identify the contents as “Glass or Fragile”. Pro Tip -Tape small parts to the interior of the door in a ziplock bag so that small pieces do not get lost or misplaced. Store any loose hoses, cords, tubing or removable items inside the tub of washing machines and refrigerators for easy retrieval later. Secure doors with tape to keep them closed while transporting them to prevent them from opening and becoming damaged. Roll up cords and secure with tape to the back of the appliance. To prevent appliances from the likelihood of pests, best practices would be to treat the exterior of the appliance with insecticide. Ensure that you allow it to dry completely before placing in storage. If you have decided to place your appliances at a storage facility you will need to determine how long you will be storing the appliances and consider climate-controlled storage options when you anticipate storing for longer periods of time. Climate-controlled storage will mimic the interior of your home and aid in maintaining the integrity of the appliances electronics. When loading appliances onto dollies for moving, placing a moving blanket between the appliance and the dolly to prevent scratches, dents, and dings. Utilize the most space of where you are storing your appliances. If you are using a self-storage unit; placing the appliances at the back will maximize the storage area. Once you have moved your refrigerator, dishwasher, or washing machine remove the tape from the door and allow the store to remain cracked so that air can flow into them. Leaving the doors closed can cause mold and mildew to form inside. If you are storing additional household items a good way to really maximize your space is to utilize the appliances for smaller lightweight items that you can place inside the appliances. Do not forget to remove them before transported them to their new homes though. Dust can really affect electronics so draping appliances with a sheet, or plastic will prevent any dust, dirt or debris from collecting on the surfaces. Following these tips will ensure the best possible condition of your appliances when you no longer need to store or move them. For more great tips check our other blogs! If you have any questions, feel free to contact your neighborhood LockTite Storage facility and one of our managers will be more than happy to assist you.